AMD Elite graphics. 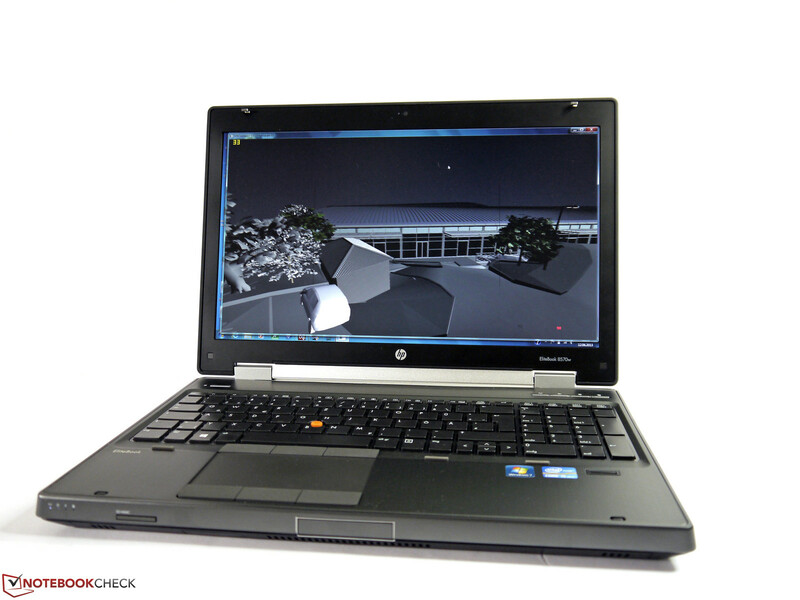 HP offers the Elitebook 8570w mobile workstation in several configurations. This one is a combination of the Intel Core i5-3360 CPU, AMD’s professional FirePro M4000 graphics and the mandatory Full HD screen. This is certainly not the ultimate hardware money can buy, but for an affordable workstation, we try to evaluate its suitability. Mobile workstations are high-performance laptops that are made for professional use. The manufacturers place special focus on reliability, stability and a vast selection of configuration as well as expandability options. One of the key parts of the workstation is the professional graphics card that is tailored to match the requirements of software in use. 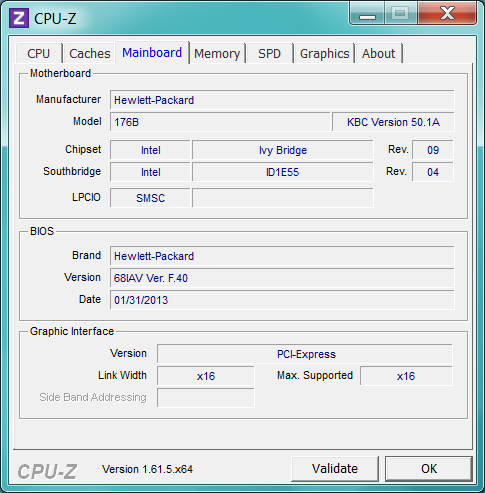 Its special BIOS and optimized drivers distinguish it from other common laptop graphics chips. This ensures maximum performance with more reliability and stability that is absolutely necessary for better productivity. It is really rare to see an AMD solution in a workstation these days. 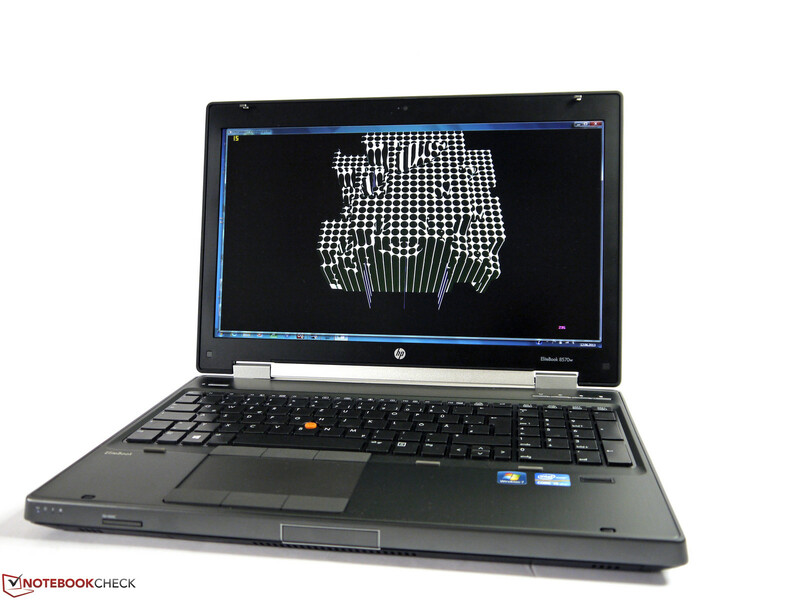 While many mobile workstations usually sport nVidia's Quadro graphics chips, HP's EliteBook workstations are all also available with AMD FirePro graphics solutions. 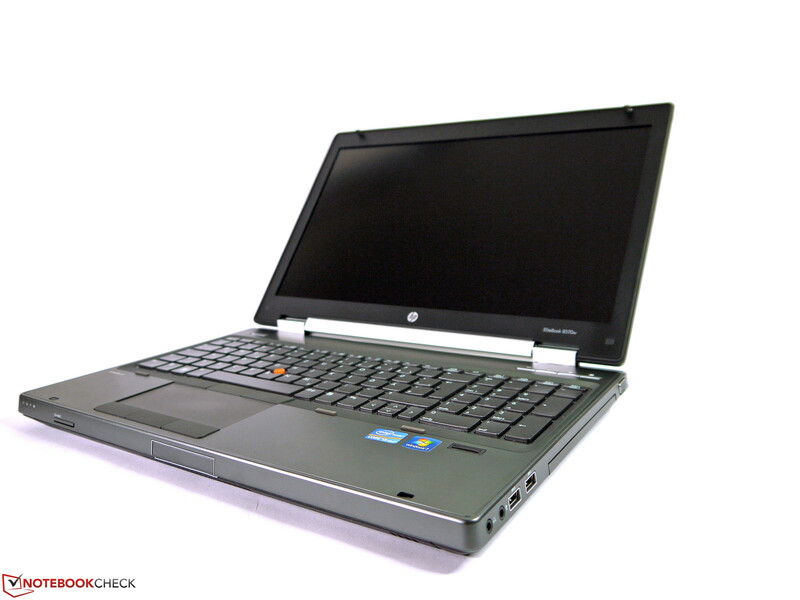 The EliteBook 8570w LY550EA is one of the lowest priced assemblies available from HP providing the bare minimum of 4 GB of RAM, a 500 GB hard disk and a Core i5-3360M dual core processor. Other than the usual bells and whistles that are available on mobile workstations, the AMD FirePro M4000 graphics and the Full HD screen are the curious additions to this setup. If you factor in the cost of 1500 Euros (~$1970) for the European market, this is one of the best priced systems available with this configuration. 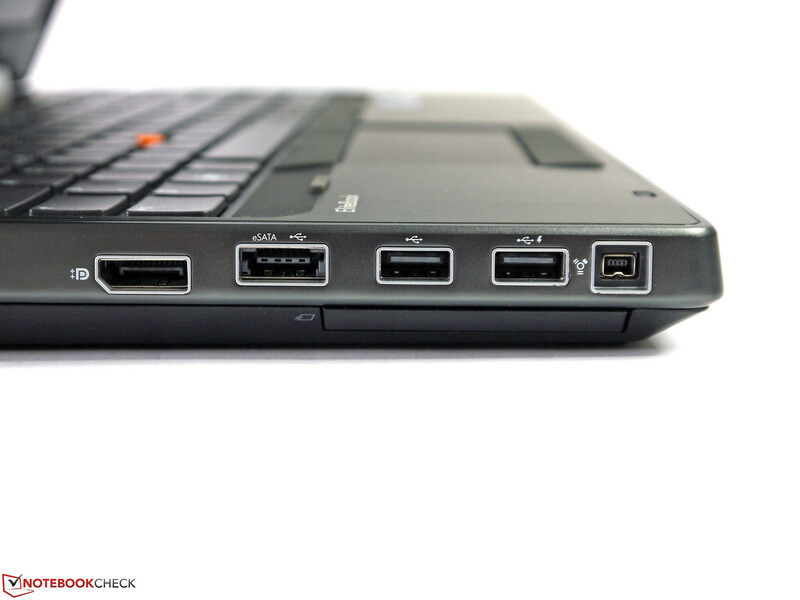 More information on the port selection and connectivity options is available in the HP EliteBook 8570w (nVidia Quadro K1000M) article. 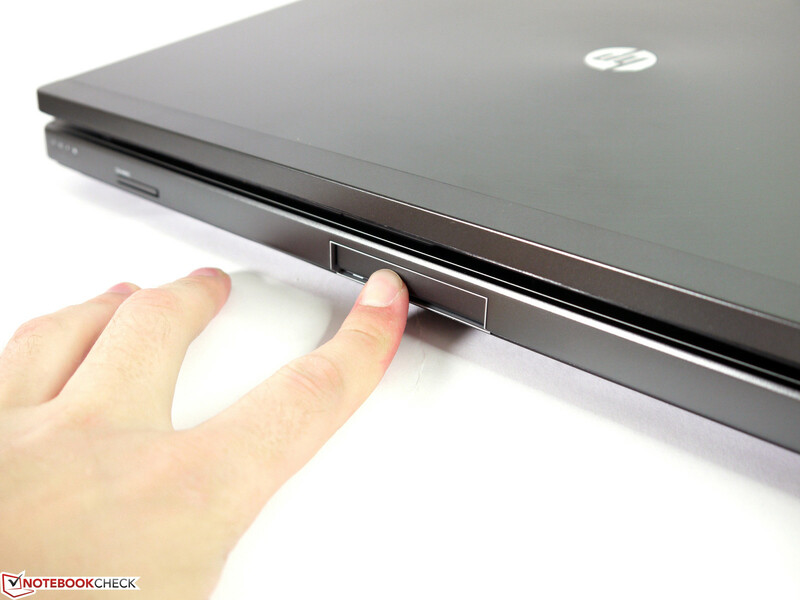 We have already spoken about the case quality of the HP EliteBook 8570w with nVidia's Quadro K1000M graphics. The explanation is applicable to all the other configurations in this line. However, we found a few flaws in this review sample. 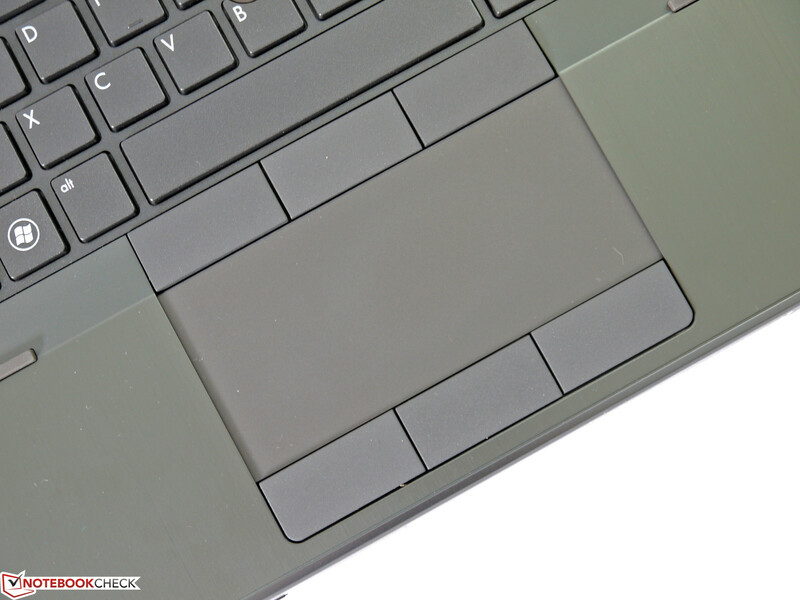 Places where the material is chipped off on the base plate and wrist rest can be seen in the screenshots. 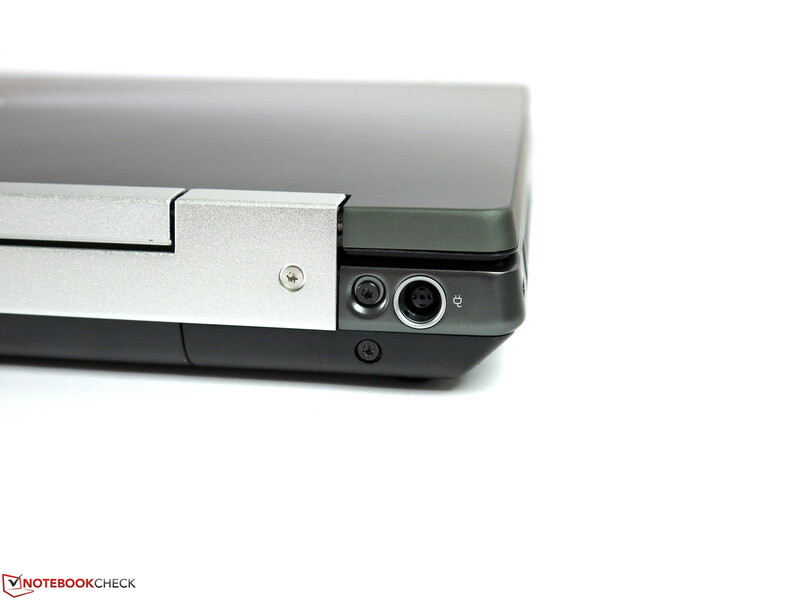 We can hear a loud creak when some pressure is applied to the left side of the touch pad. But the worst flaw of the case affected the stability of the system. The chassis does not have all four footrests on a level surface. 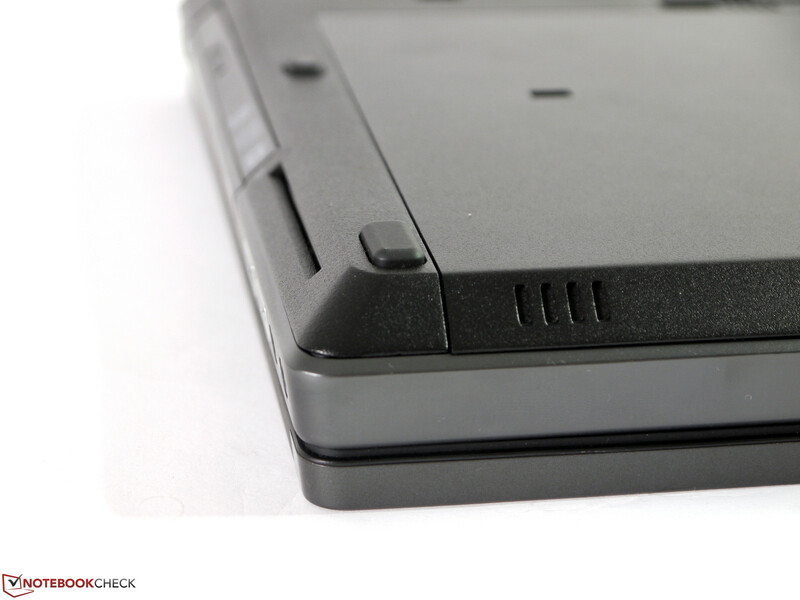 The front right edge is not grounded causing the whole body to rock when we press down on the touchpad. It does not look like the footrests are to blame. 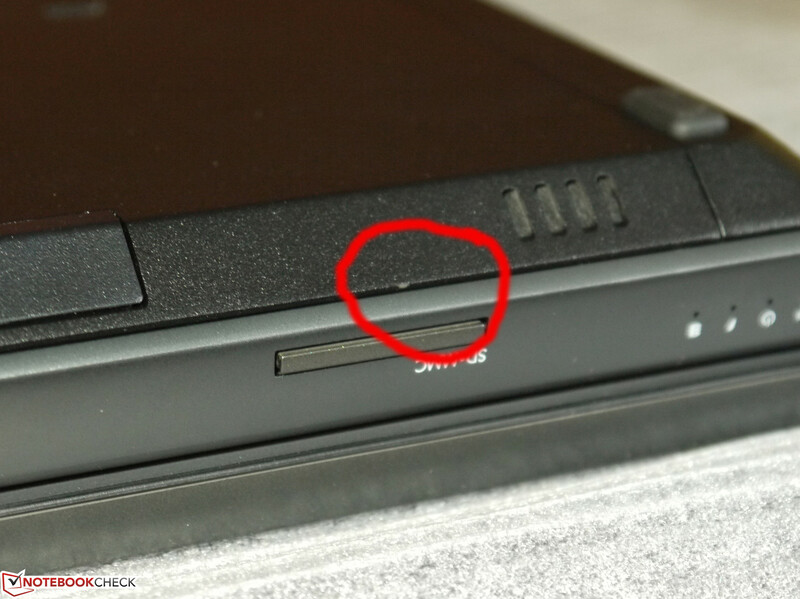 These issues should not be found on a workstation-class device and when you hit such high price points. The review sample was in its original packaging and seemed to a new device. This is an excellent reason to exercise your rights as a consumer and return the device. We have docked a few points for the rather workmanship in this review. HP still lists three different screens in its configuration list. We have already tested the base model with a resolution of 1600 x 900 pixels in HP's EliteBook 8570w B9D05AW-ABD (nVidia Quadro K1000M). This review sample features the "normal" Full HD screen. 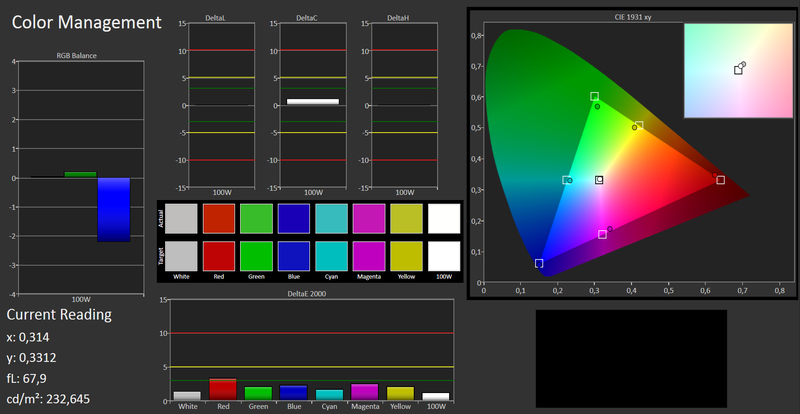 We did not discover any pre-configured models with a DreamColor screen (e.g. LY5588E) at any of the retailers. This option cannot be selected in the online configurator on the HP website. 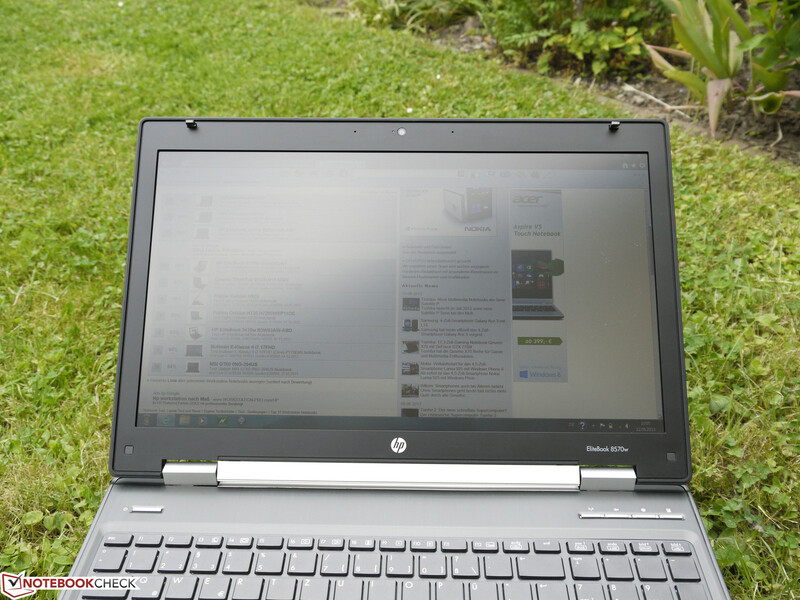 The HP EliteBook 8570w with a Full HD screen does not support the common resolution of 1366 x 768 pixels out of the box. It can be added by following the instructions in our FAQ article. It is also possible to simply choose the next higher resolution of 1280 x 1024 pixels but 3-4 fps lower frame rates have to be accepted during gameplay (tested via Tomb Raider and Hitman Absolution). 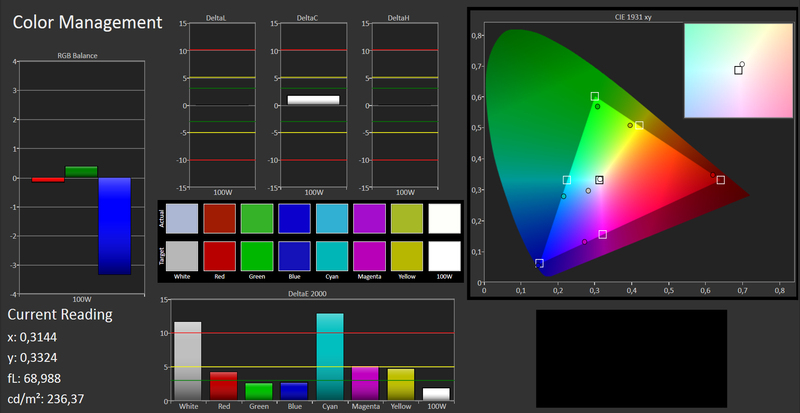 Our review sample had an average screen brightness of 215 cd/m². 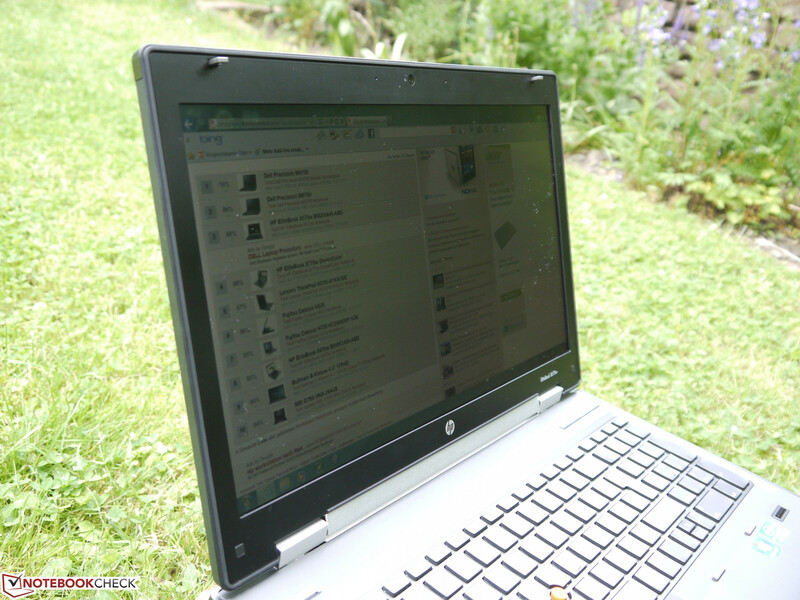 This is sufficient when the laptop is used indoors but the user will run into issues when you try to get work done outdoors. The maximum possible brightness is not affected in battery mode. 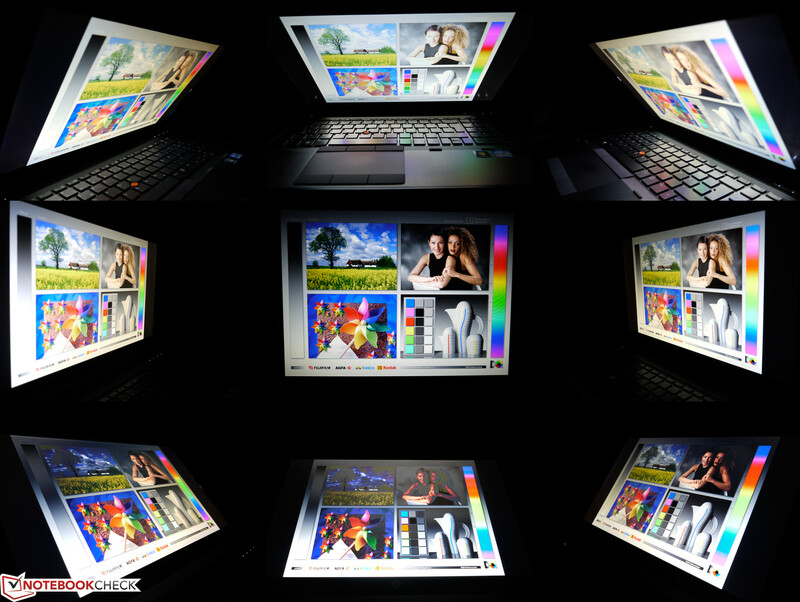 Apart from that, the screen's brightness can be set in 20 levels from 19 to 223 cd/m². We ascertained 145 cd/m² at level 17, which should be enough for many indoor scenarios. The assessed contrast is 537:1 which is a good value for this type of device. 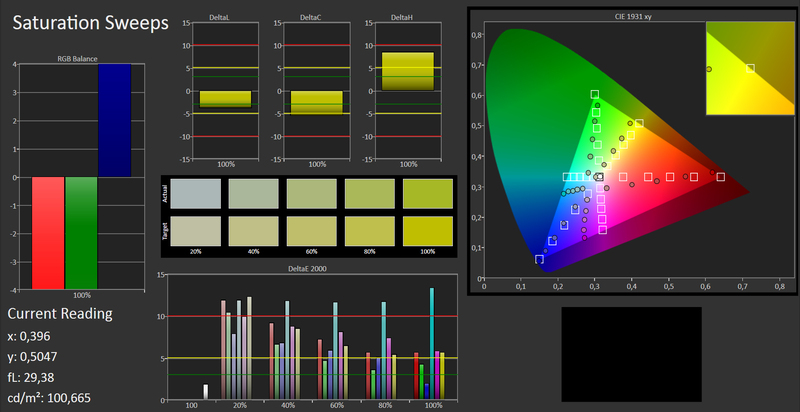 The base model’s HD+ screen scored better here and displayed richer colors and deeper blacks allowing us to arrive at a contrast of 938:1. 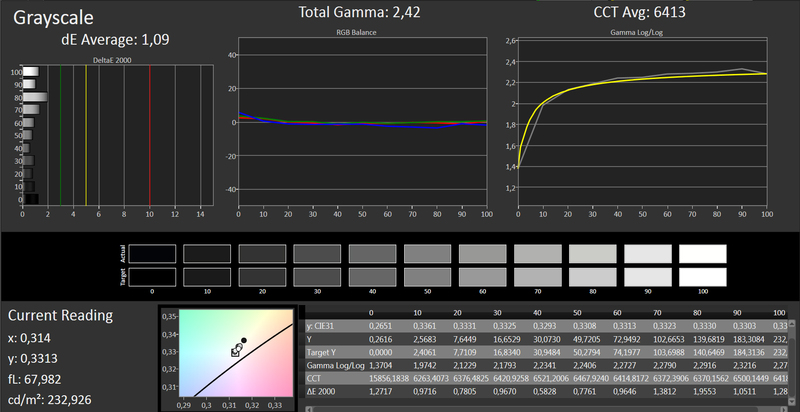 The supported color gamut fails sRGB and is also a bit worse than that of the HD+ screen from LG Philips. Consequently, using it for professional image editing is only possible with some compromises. 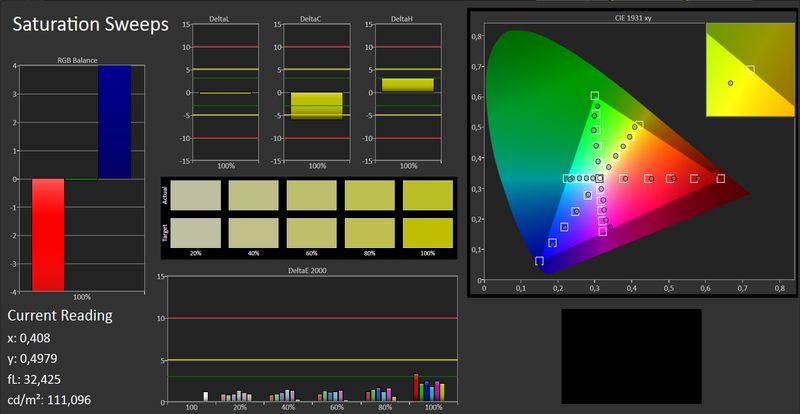 On the other hand, the screen is impressive after calibrating it. Grayscales, color accuracy and color saturation only exhibit a minor deviation from the ideal. The viewing angle stability is very good for a TN panel and is only worse than the IPS panels. The image always remains legible with horizontal screen angles and only exhibits slight brightness and color deviations. However, the picture either fades or inverts when the screen is tilted toward the back or front. This effect occurs much later and is at wider angles than in mainstream screens. A very visible yellowish cast is noticed when looking up from below at an angle. To sum it up, the HD+ panel of the base version is much better than the Full HD panel on this review sample in many aspects. If you need a higher resolution screen but don’t care about the other bells and whistles, then this would not be a bad choice. We need to point out that many of the hardware options in the specification sheet of the Elitebook are not available in any of the versions that have been introduced and this hasn’t changed for half a year now. At least models featuring high-performance quad-cores such as the Intel Core i7-3740QM or the Core i7-3840QM CPUs are now available. 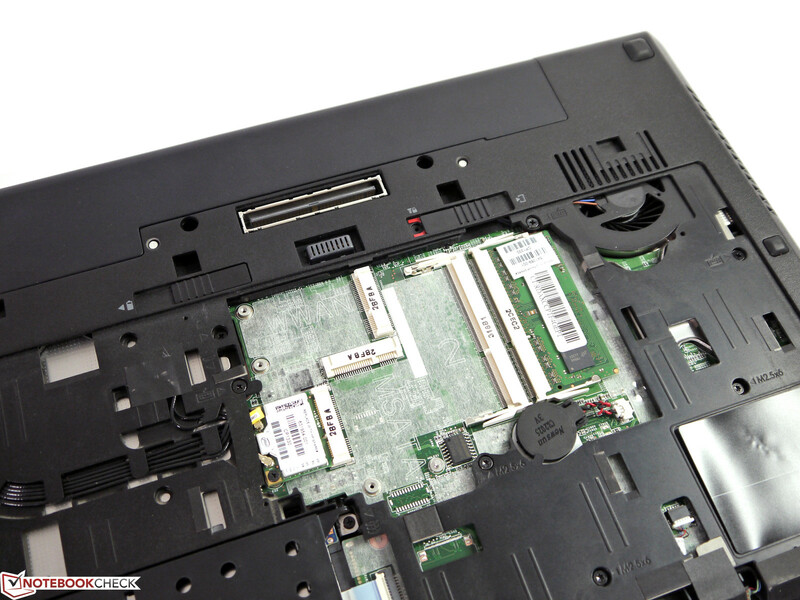 The RAM for dual-cores is limited to two slots and a maximum of 16 GB. The quad-cores support 4 slots meaning they can utilize up to 32 GB of RAM. 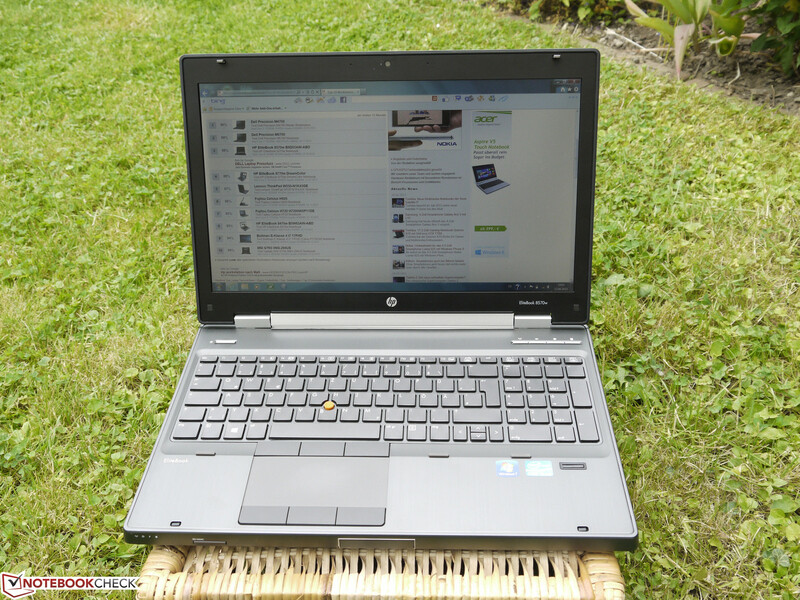 We have reviewed the Intel Core i5-3360M dual-core in the HP EliteBook 8570w B9D05AW-ABD. The scores are pretty much identical and especially single threaded tasks are handled really well. 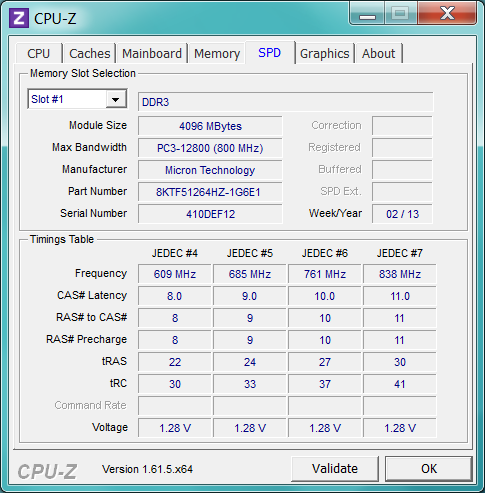 The higher single threaded scores are mainly due to the high core frequencies that are employed in these processors. 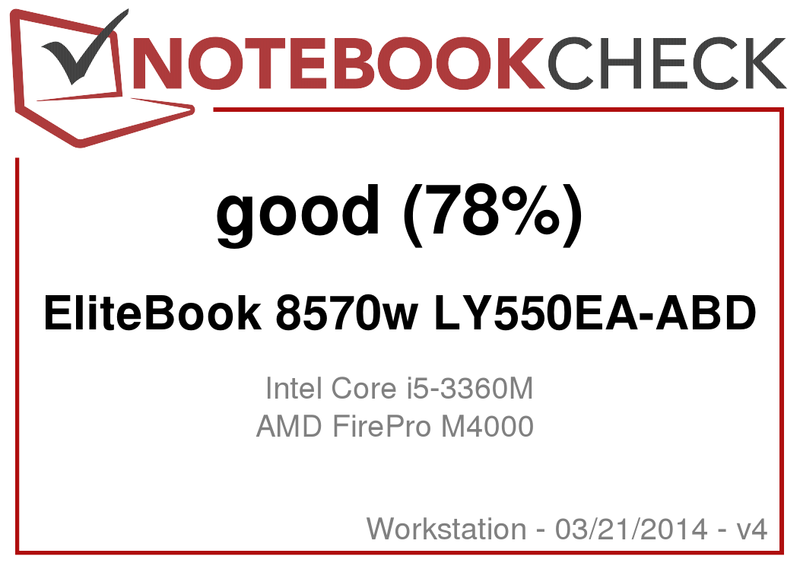 They are able to beat out the quad core i7-3610QM in these tests. For example, it reached 5843 points in Cinebench R10 64 bit (single) and the SuperPi calculation is accomplished in 605 seconds. This meant a factor of x49.8 in MP3 conversions via iTunes. However, the dual-core's performance clearly drops compared with Intel's Core i7-3610QM when the software can use multiple cores/threads. Only a score of 12422 points was achieved in Cinebench R10 64 bit (multi) in contrast to the 21357 points in the HP EliteBook 8770w. The performance also drops noticeably in comparison with other quad-cores when videos are converted via Cyberlink's MediaEspresso. The time needed for larger video projects is clearly longer. We ascertained a performance drop of approximately 20% in battery mode. The test device only achieved a score of 2.77 rather than 3.26 points in Cinebench R11.5 64 bit (multi). In return, we did not discover a decrease in the clock rate even after over two hours at maximum load in AC mode. 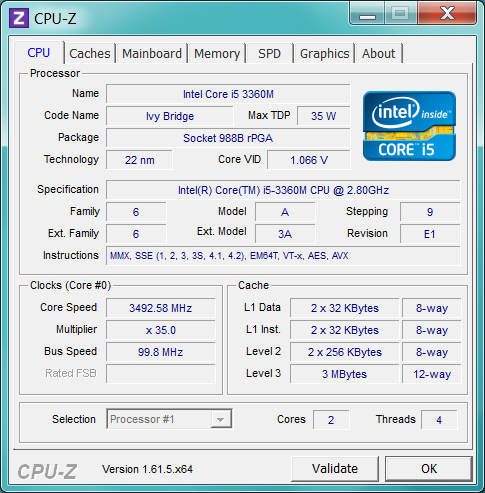 The dual-core ran stable at 3.3 GHz. 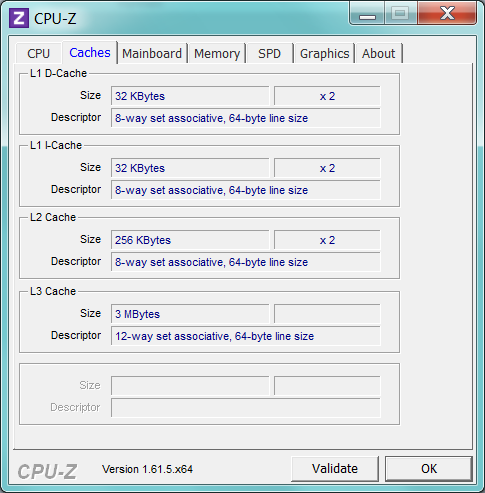 The low RAM capacity and the slow storage device affect the review sample system performance. The RAM score in Windows Experience Index increases from 5.9 to 7.3 points when a second 4 GB RAM module is inserted in the second slot. A solid state drive could increase the performance even more since it would result in better responsiveness of the entire system due to short access times and high data transfer rates. The hard drive is a 7200 rpm mechanical device with a 500 GB capacity. The access time is over 19 ms and the transfer rates are up to 134 MB/s. In an era of solid state drives, even good hard drives like this Hitachi drive only have the advantage of providing a lot of storage for little money. SSDs are the better choice in all other areas. The operating system is booted within a few seconds, programs and files are available much sooner and productivity rates are generally higher. This drive does not offer any of these advantages. However, the upgrade options are vast. It is possible to replace the installed hard drive with a solid state drive, insert an mSATA solid state drive (SATA II only) or swap the optical drive with a modular storage device. A RAID configuration is also possible in the BIOS but we did not test that. The performance of the AMD FirePro M4000 graphics chip is somewhere between the AMD FirePro M2000 and the M6000. The M4000 is only available in mobile workstations from Dell and HP. Here, the FirePro M4000 is placed as an alternative to nVidia's entry-level Quadros K1000M and the more expensive K2000M. The core clock of 600 MHz, a 1 GB GDDR5 graphics memory and a 128 bit memory bus are good theoretical preconditions to be able to compete with nVidia solutions. Features such as Direct Compute 5.0 and OpenCL 1.2 are supported and the FirePro is naturally capable of DX11 besides OpenGL 4.2. Multi-monitor operation with up to 5 monitors (via the docking station) is possible. 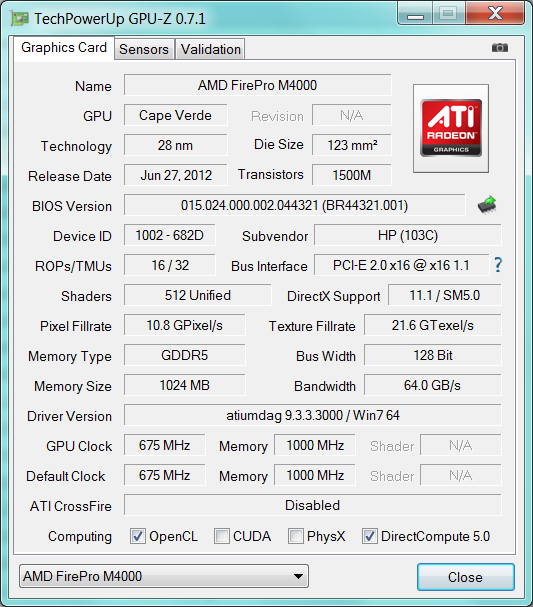 The AMD FirePro M4000 achieved good scores in the usual benchmarks. It scores 8611 points in 3DMark Vantage, 2218 points in 3DMark 11 and 55.44 fps in Cinebench R11.5 OpenGL Shading. The chip managed 470 (Sala) and 270 points (Room) in ray tracing i.e. 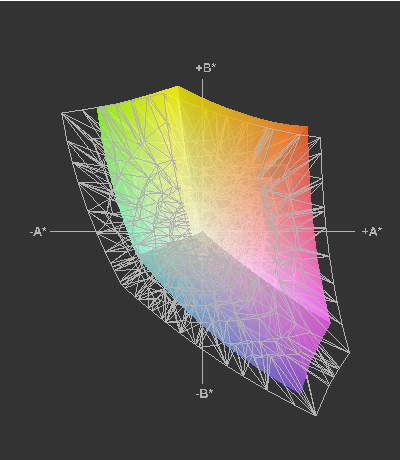 light-shadow computation via OpenCL / Luxmark 2.0. Unlike nVidia GPUs, the tessellation performance in the Heaven 3.0 benchmark is dependent on the graphics interface. DX11 allows for 21.3 fps and 17.7 fps was possible in OpenGL. 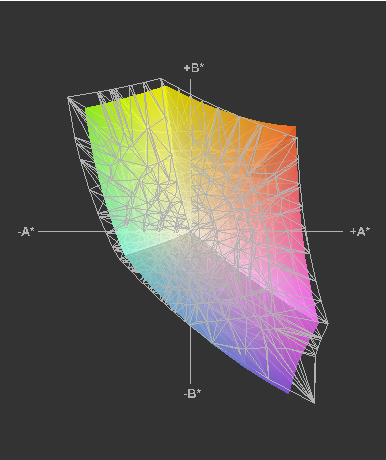 The main field of operation for professional graphics cards is in the use of CAD software. The AMD FirePro M4000 provides a little surprise depending on the CAD software despite its weak CPU and tight RAM configuration. It could even beat or at least pull even with nVidia's Quadro K5000M in Lightwave, Maya and Solidworks. The FirePro M4000 however did not manage to surpass nVidia's Quadro K1000M in ProEngineer, Teamcenter and Catia. The performance graph should only be seen as an indication since a long time has passed between the tests and driver updates could lead to speed increases. However we can say that the most expensive card might not be the best solution for a particular field. We ascertained a performance decrease of approximately 10% in battery mode. 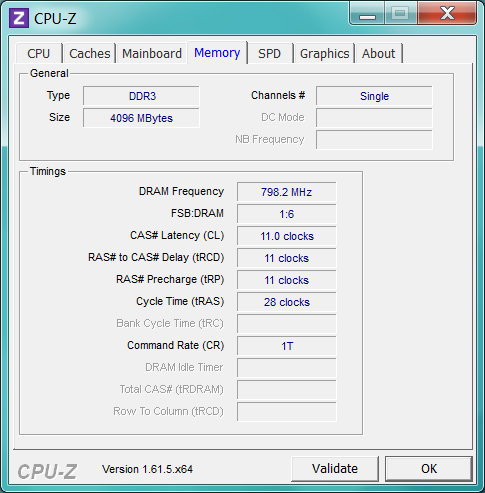 According to GPU-Z, the GPU clock fluctuated between 587 and 675 MHz when both the CPU and GPU were under maximum load. This did not have an effect on the benchmark scores. Gaming performance is extremely dependent on the publisher support for a particular brand as well as driver optimization. While Total War Shogun, Tomb Raider and Hitman Absolution can only be enjoyed at minimum settings in the long run, Bioshock Infinite runs in high settings and ultra-settings are even possible in Diablo III. We did not ascertain incompatibilities or obvious performance losses due to AMD's professionally tuned drivers. The hard drive limits the minimum noise development. The workstation could have periods of silence when the fan is inactive with a solid state drive (has to be enabled in the BIOS). 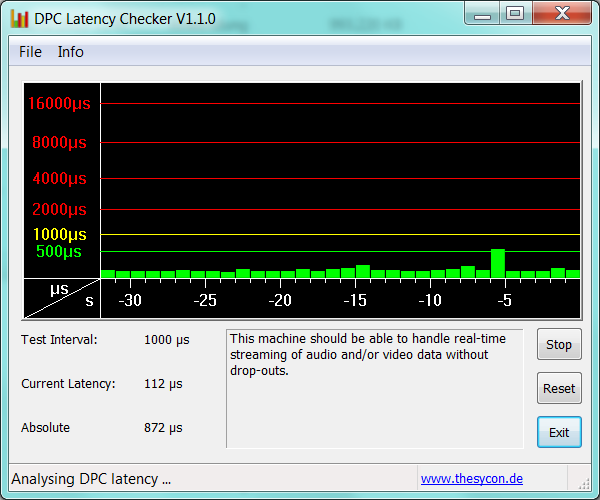 The laptop is nevertheless still quiet with a minimum noise level of 31.4 dB (A) during low load. That increases to 32.9 dB (A) when the fan sets in, and is very audible but not distracting. It is not as noisy as the model featuring the nVidia GPU in this section where we recorded 34.7 dB (A). The fan increases its speed at medium load levels and levels out at 37.2 dB (A) and stays there. The ascertained maximum load sound level of 47.8 dB (A) was unpleasant during extended usage of the machine. However, this only occurs when the CPU and GPU are in use at the same time. The surfaces do not reach disconcerting temperatures even after 2 hours at maximum load. The waste heat is moderate with a maximum of 42.5°C on the bottom and 40.2°C on the keyboard's left. Caution is only called for at the vent and on the power supply. We measured 52.4°C and 58.7°C here. (+) The average temperature for the upper side under maximal load is 31.9 °C / 89 F, compared to the average of 31.1 °C / 88 F for the devices in the class Workstation. (±) The maximum temperature on the upper side is 40.2 °C / 104 F, compared to the average of 37.1 °C / 99 F, ranging from 23 to 69.8 °C for the class Workstation. (+) In idle usage, the average temperature for the upper side is 29.6 °C / 85 F, compared to the device average of 31.1 °C / 88 F.
The speakers located on the front supply a relatively balanced and clear sound that even includes bass and mids. 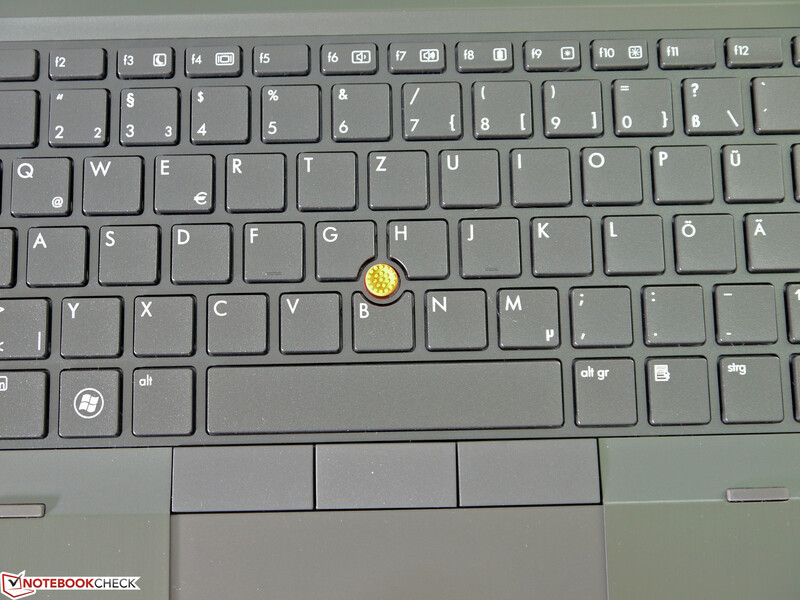 Although they cannot compete with external speakers from the 10 Euro (~$13) price range, the manufacturer has installed better speakers than commonly found on other laptops. The maximum volume is sufficient for smaller presentations and can be fine-tuned in 50 levels. The minimum power consumption of 14.6 W is slightly lower and the maximum power consumption of 94.3 W is slightly higher than the version with nVidia's graphics. 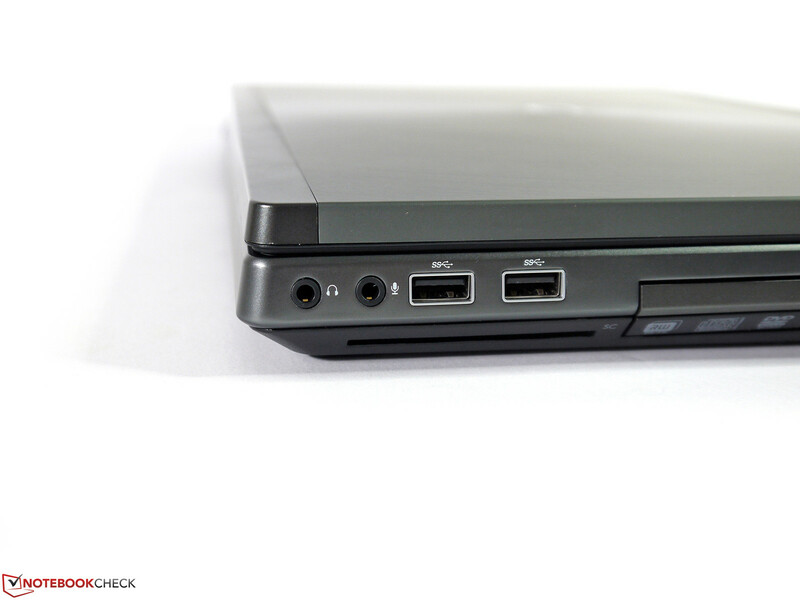 The power supply provides a nominal power of 120 W and clearly suffices for the energy needs of the laptop. 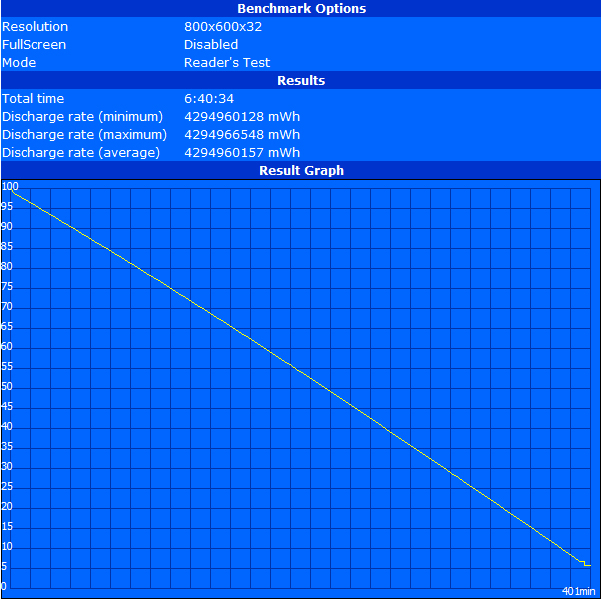 The battery in sample has a capacity of 75 Wh and has an especially long runtime. 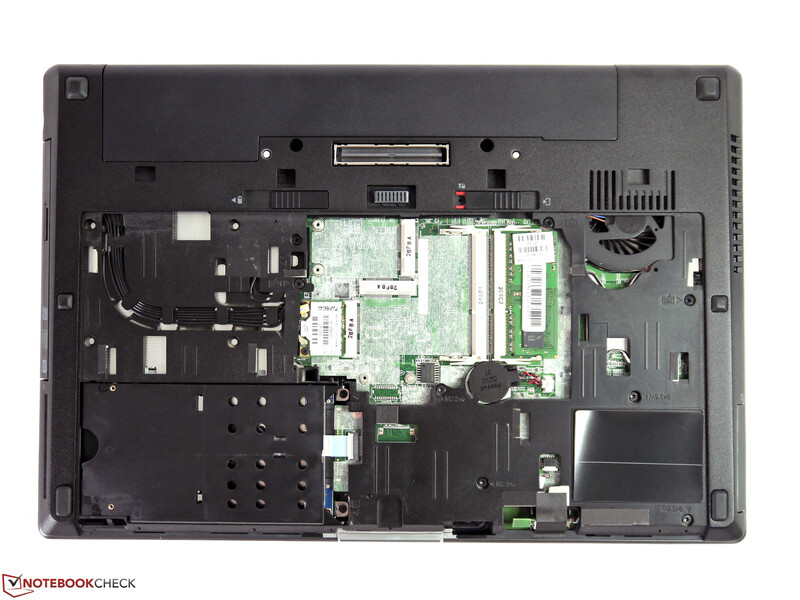 HP's EliteBook 8570w achieved a runtime of 6:41 hours in BatteryEater's Reader's test, using minimum screen brightness, all modules turned off and energy-savings mode applied. That is still approximately 20 minutes longer than the nVidia machine despite its weaker battery. In return, almost identical times are reached in both the Wi-Fi test with a screen brightness of 145 cd/m², wireless modules turned on and energy-savings mode applied; and the DVD test using maximum brightness, wireless modules switched off and energy-savings mode applied. 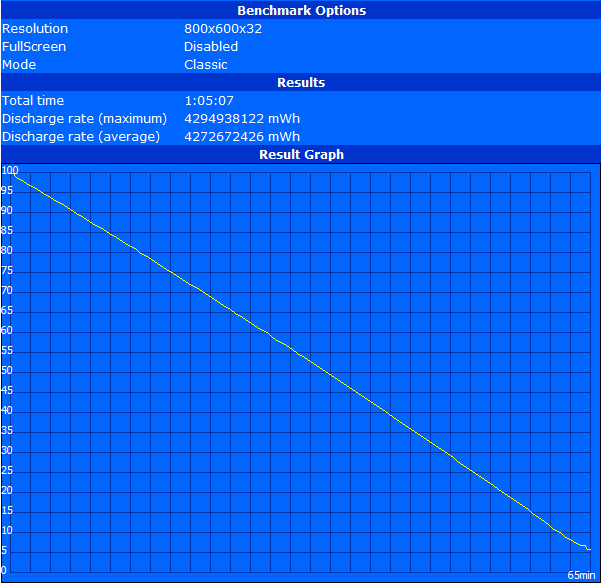 The runtime is roughly halved in the BatteryEater's Classic test with all modules turned on, high-performance mode selected and maximum screen brightness. The runtime of the AMD edition is much shorter. Here, the higher maximum power consumption as well as the lower performance throttling in battery mode has a negative effect on the maximum possible battery runtime. 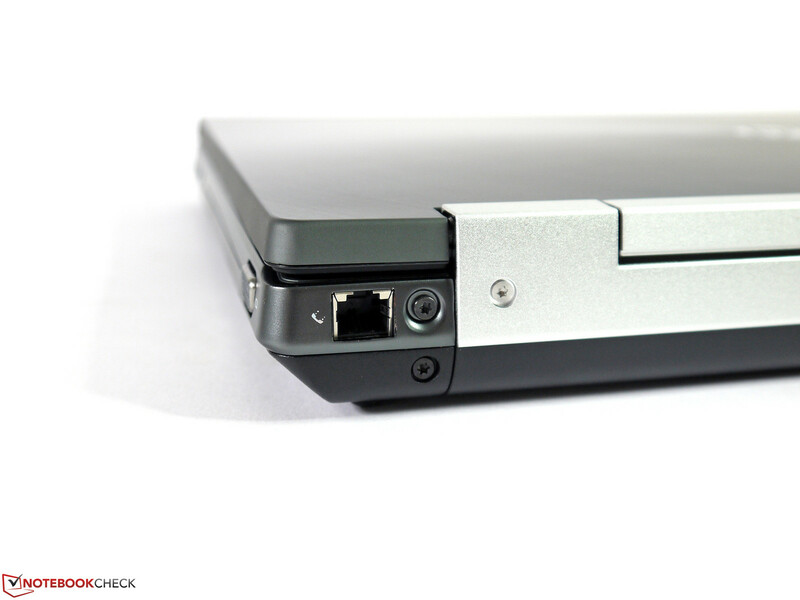 Apart from the cosmetic flaws in case, the HP EliteBook 8570w makes a strong impression on us. 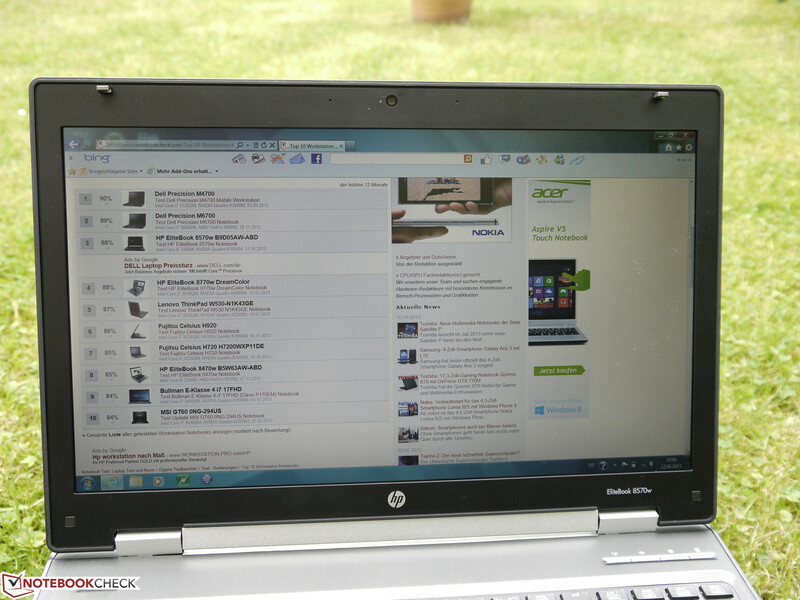 Many features expected from a mobile workstation are implemented appropriately for the target group. Only the compromise on the interface positioning, the screen unsuitability for use in all fields of operation and the high noise emissions during full load could prove to be limiting. The performance is generally good but includes minor system bottlenecks due to the low-cost arrangement in RAM and storage device configuration. Its positive features include a very powerful AMD FirePro M4000 depending on the application field, good battery runtimes and a very attractive price-performance ratio in comparison to other machines. 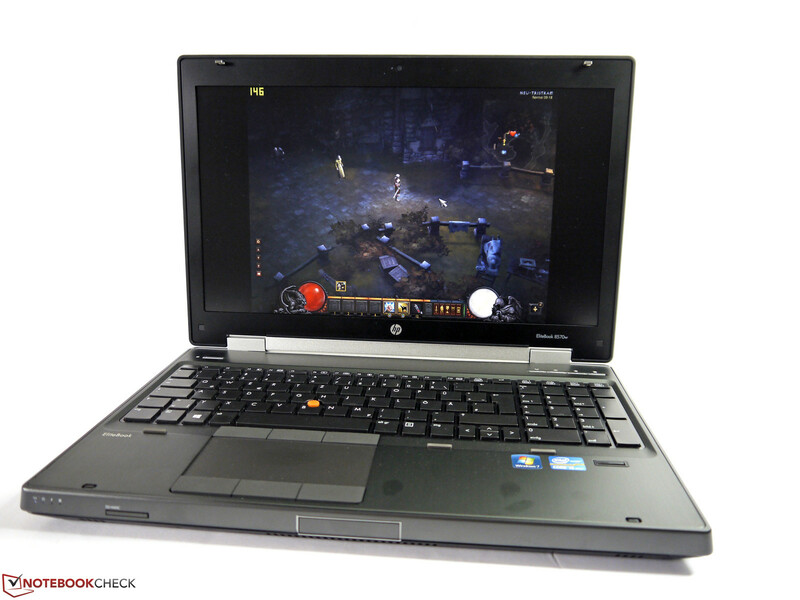 Depending on the application, the graphics solution is able to compete with similar nVidia solutions and sometimes surpass them. 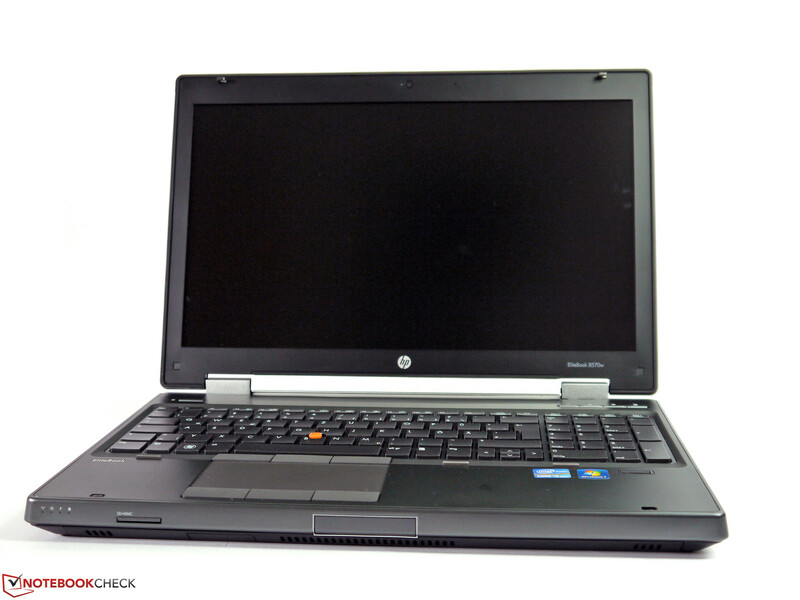 As usual, the other workstation qualities are well represented in the HP EliteBook 8570w. Our test model regrettably had a few manufacturing flaws. 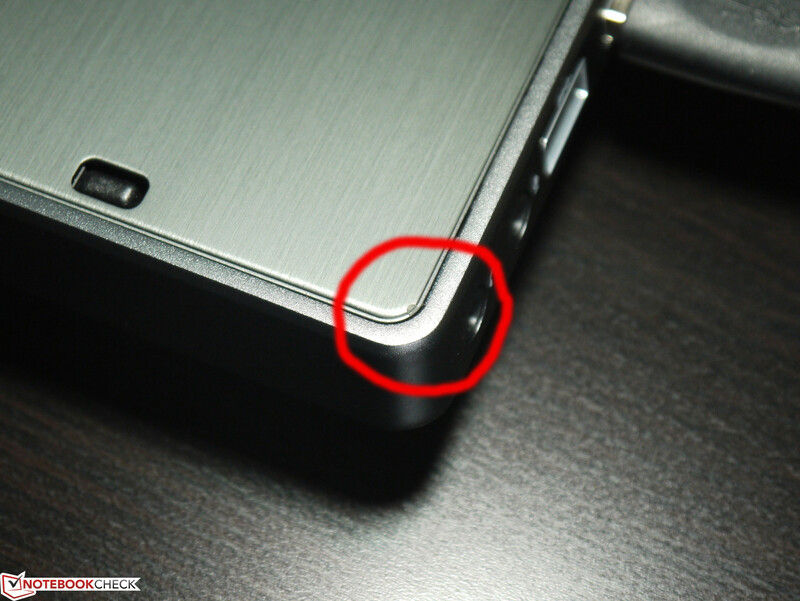 the power socket are at the rear. The analog VGA port's signal quality is good at a resolution of 1920 x 1080 pixels. A variety of interfaces virtually cover all areas. Most interfaces are located towards the front. The keyboard and its dedicated number pad is suitable for prolific writers and features a backlight. 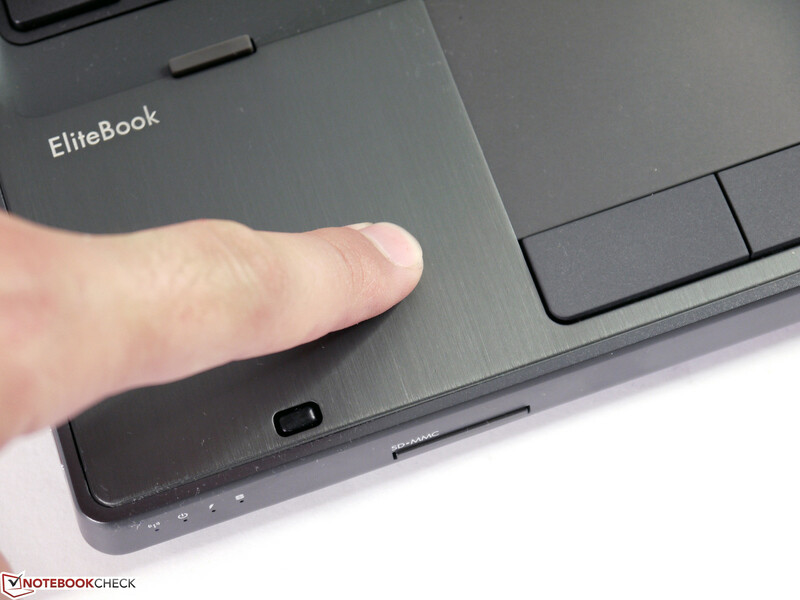 The touchpad is big and allows for comfortable use. The TrackPoint is a good mouse replacement. The screen features a ramshorn hook. Its latch is sometimes difficult to push. The upgrade options are exemplary. The RAM and storage device should be optimized quite soon. Screen is bright enough for cloudy days. The AMD FirePro M4000 is a good alternative for many applications at an attractive price. Automatic switching to Intel HD Graphics 4000 could provide longer runtimes and take advantage of Quick Sync. That HP quality control failed in our test device. 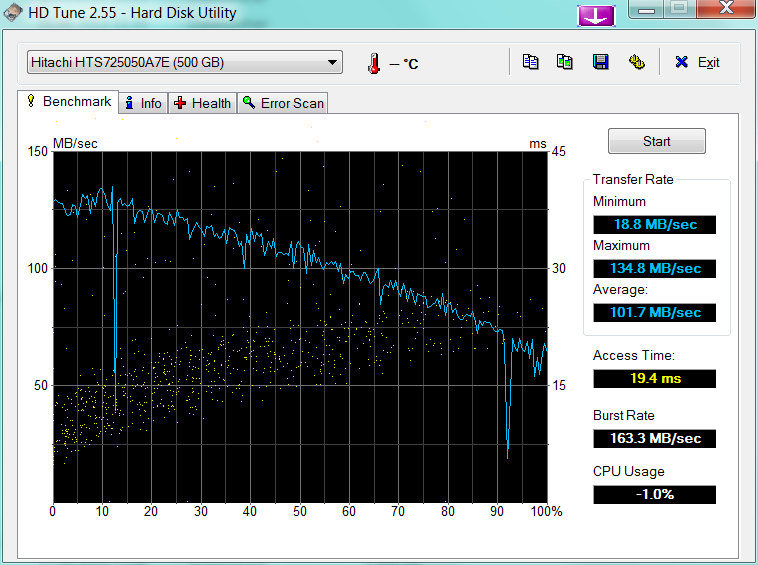 This should not happen especially for a workstation-class device. 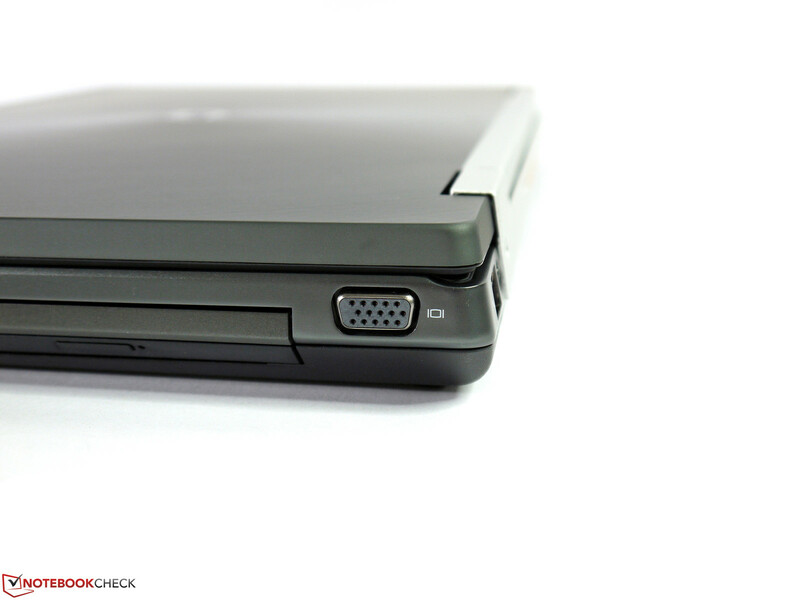 We believe that Dell's Precision series is still the reference. 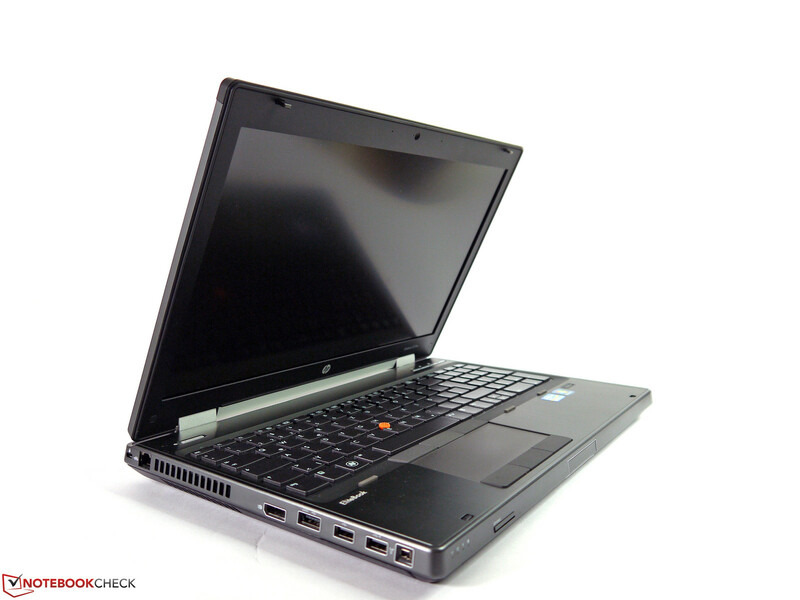 Dell's Precision M4700 and 6700 currently set the standard for mobile workstations. 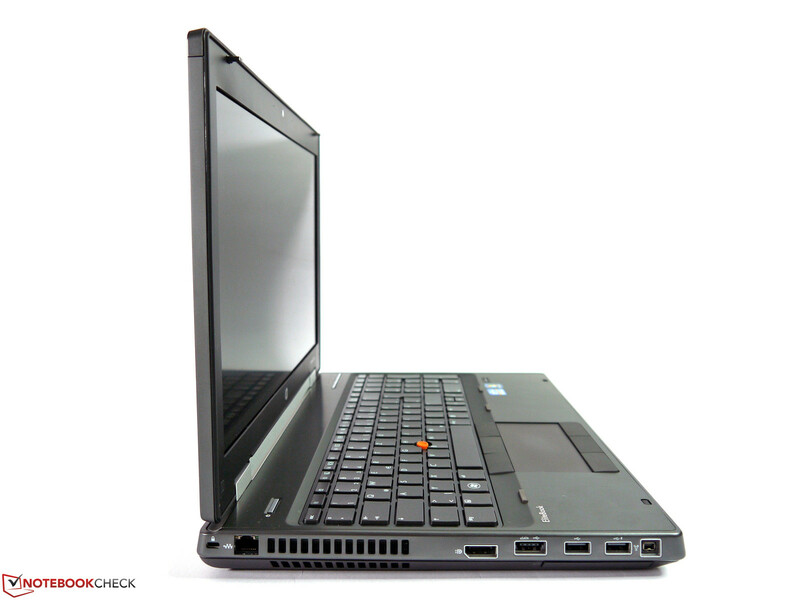 Other contenders are Lenovo's ThinkPad W530, Fujitsu's Celsius H720 or Clevo barebones featuring a Quadro graphics, such as Bullman-E Klasse or Schenker's Xirios W712.